The Landini 6 Series is a completely new range of tractors with the product goals set to achieve greater performance through enhanced operator comfort and convenience as well as longer service life and industry leading reliability. 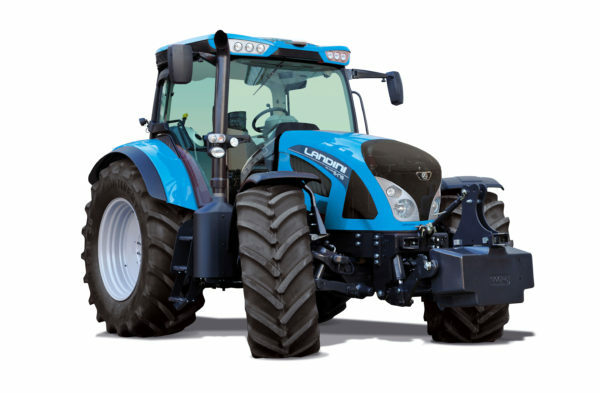 Externally the new styling shows off the tractors sleek appearance and attention is quickly drawn to the wider more spacious cab. Operator comfort and control layout is completely overhauled with no carry over from previous families. Consisting of 3 models, the range features the new ‘Roboshift’ and Power Shuttle transmission with 24FWD and 24REV (4 Powershift speeds) as standard with the option of ‘Roboshift’ with Creeper and Power Shuttle offering 40FWD and 40REV. The new Tier 4 engines feature SCR and Ad Blue technology to meet today’s stringent exhaust emission guidelines.